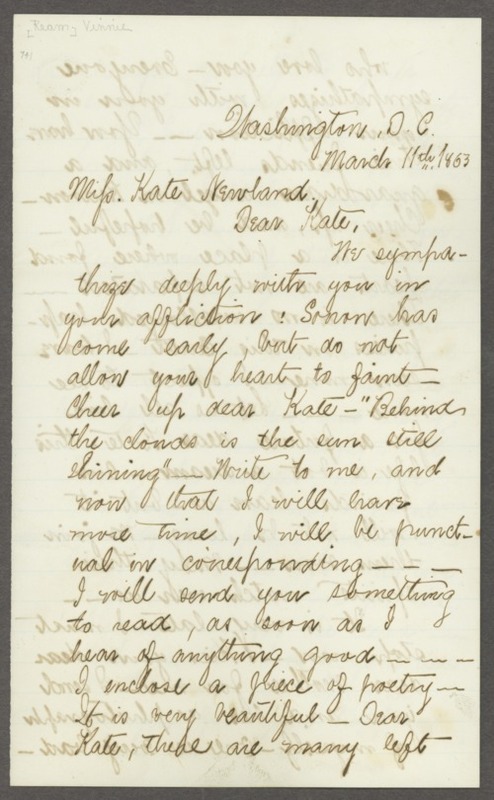 Collection of letters to Kate Newland from several acquaintances, one being Vinnie Ream. Some were written by her romantic suitors, including Samuel Stephens, William Nelson, J.H. Malott, A. McCartney, Alex W. Johnston, A.T. Herbert, Lewis Stafford, and Jacob Sproat, the man she eventually married.